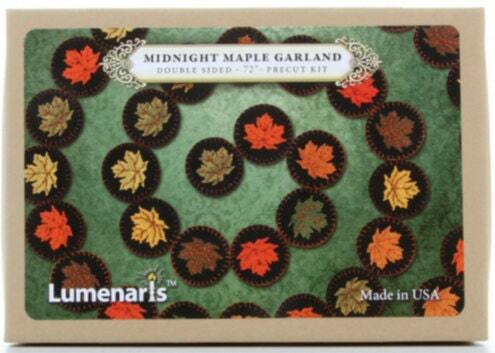 Double sided 72" pre cut maple leaf garland. 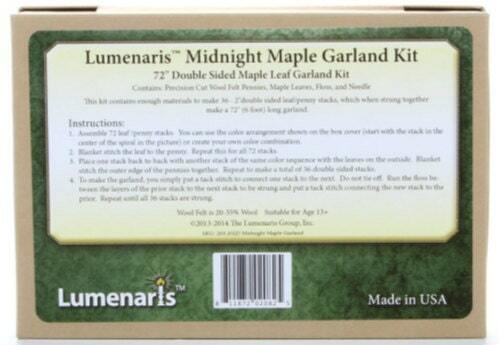 The Midnight Maple garland kit makes a 6 foot long (72″) garland of 2″ pennies. It's double sided with leaves on both sides of the penny stacks. 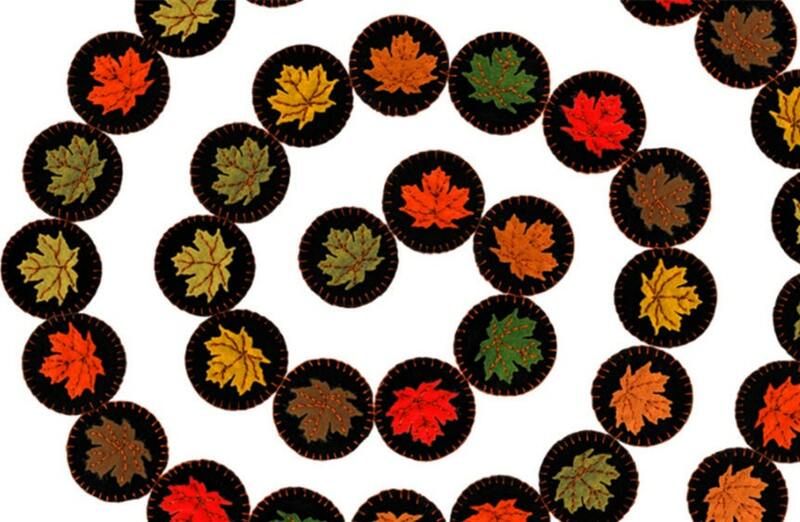 It's a perfect fall decoration for a table, mirror frame, doorway, or almost any place you would like to hang or place a garland. 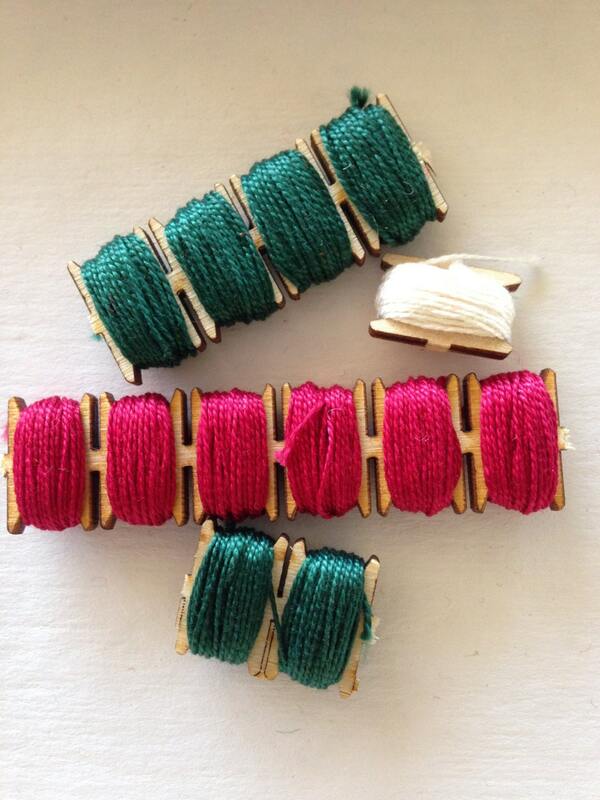 Floss comes wound on tiny wooded spools. 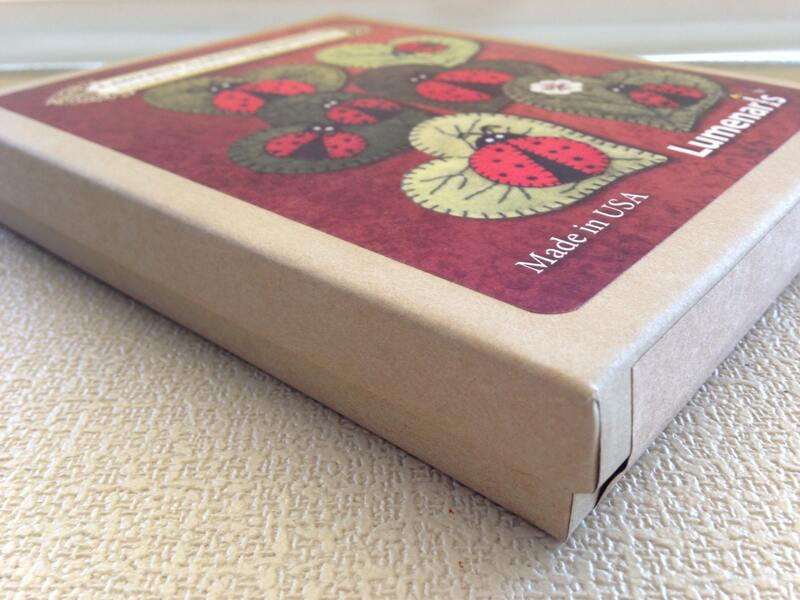 Kits are made from precision cut wool felt ready for you to stitch them together. Packaged in a sturdy cardboard box.